Keep all ages in mind when creating your playlist. There are a few things to consider when it comes to choosing the music for your event. On average, from the beginning of the ceremony until the very last song played there are approximately 80 songs played. If you would like to be more "hands on" with your music selection here are some helpful hints to keep in mind when making your selections. What are the age ranges of the guests that are attending your event? Your reception entertainer will have the important task of accommodating all ages that evening. From the kids, to young adults, to parents and aunts and uncles and finally grandparents there will be an array of music to choose from. Yes, you want to personalize your event with the music you love but keep, in mind not everyone has the same tastes in music and some may enjoy music for other eras while others will not. How many songs should you choose? If you are a couple who would like to participate in the song selections for the event, a good rule of thumb is to select approximately 25 songs divided up throughout the night. Choose a handful of songs for cocktails and dinner and then the rest for dancing. If you are taking pictures during your cocktail hour then have the entertainer choose the songs for cocktails and have your personal selections played during dinner when you are present. Finally the dance music should have a universal vibe to it. This will allow all your guests to participate in the celebration and create an atmosphere in which the music will bring everyone together on the dance floor. How involved should your reception entertainer be in the music selection? 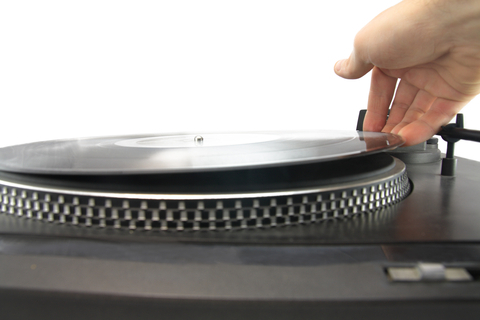 The DJ or band leader should play an important part in this process. Involve him in the planning prior to your event as you will find yourself wondering if the songs you are choosing will be appropriate. In addition, and most importantly, involve him on the on the day of the event planning, as you have hired him to use his expertise to read the crowd and create a party atmosphere. Trust the judgment of the professional. It will make all the difference in the world! Should you create a Do Not Play List? Creating a "do not play" list is an absolute must. In some instances it is more important to have a do not play list than an actual play list. This will give your entertainer an open window into your world of music and eliminate any assumptions about certain songs being played. You don’t want any distractions the day of your event. January 18, 2014 by Cheers.